(Nanowerk News) University of Wollongong (UOW) scientists are at the forefront of a medical revolution using 3D ‘printing’ to reproduce human body parts. Researchers from UOW’s ARC Centre of Excellence for Electromaterials Science (ACES) and St Vincent’s Hospital, Melbourne, announced in Melbourne today (Friday 3 May) that they are just three years away from printing custom-made body parts, including muscle and nerve cells and cartilage. And in just over a decade, they believe will be possible to print human organs. 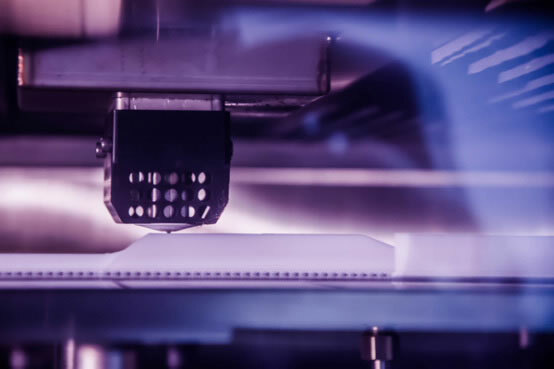 “It is already possible to print 3D biocompatible plastics and metals to manufacture patient-specific implants,” ACES Director Professor Gordon Wallace said. Professor Wallace and his team are are meeting with clinicians, medical device manufacturers and policy makers this week in Melbourne to discuss the future of fabricated medical implants. Professor Wallace said 3D printing, or additive fabrication, uses machines to build 3D objects layer-by-layer from digital data. Professor Wallace said the research would receive a huge boost next month with the launch of an additive biofabrication unit at St Vincent’s hospital in Melbourne, expanding the program from its base at the University of Wollongong’s Intelligent Polymer Research Institute (IPRI), the lead node of ACES. The St Vincent’s facility will be the first of its kind in Australia to be located in a hospital. “This is an exciting development involving the establishment of a customised facility at St Vincent’s, Melbourne. [It] will put our scientists and engineers in direct contact with clinicians on a daily basis [and] is expected to fast track the realisation of practical medical devices and the reproduction of organs,” Professor Wallace said.